You were arrested for DUI in Fort Lauderdale. The judge decided to put you on probation. Now, you are accused of violating it. What can you expect? Your first call should be to an experienced DUI defense attorney. We will work to help you understand the potential consequences and what action you can take now to help minimize the damage. With immediate help from an attorney, it’s possible the matter may not even need to go before a judge. However, if it does, you will need a legal representative advocating for your rights and best interests. In some cases, you will be facing the harshest penalties under the original charge. Our Broward County DUI attorneys will work to help you identify necessary action for the best possible outcome. Probation is one of the many penalties you may face following a DUI conviction in Florida. F.S. Chapter 948 spells out the rules and requirements of probation, which is considered a privilege, not a right. It can be imposed whether you are convicted of a minor misdemeanor or as part of your release from incarceration. In a lot of cases, if you can successfully comply with all conditions of probation, you may be able to avoid jailtime altogether. As your probation officer directs and on the form provided, you will need to make a full and truthful report of the previous 30 days. You must pay the state $50 each month, plus any other statutory surcharge, for the cost of probation supervision, plus a related cost of $1 a day (up to $60). You are not allowed to possess, carry or own a firearm, or at least not without the consent of your probation officer. 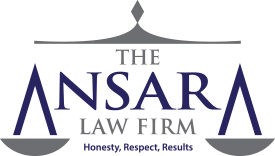 You may need to consult with your Fort Lauderdale DUI defense lawyer about this provision if you are currently a gun owner or if someone in your home owns guns. You will not violate the law – any law. Bear in mind: It’s not necessary to be convicted of a subsequent offense for this to apply. You will retain steady, lawful employment. You will agree not to possess or be under the influence of alcohol or other intoxicants. You will truthfully and promptly answer any inquiries directed to you by either the court or your probation officer. That includes at your home or at work. If having such a situation arise at work may affect your employment, we can potentially file a motion to prevent this. Not all judges will acquiesce, but we will fight for it if it’s a serious concern. Attend AA or NA meetings regularly, and have a representative sign off on your attendance. Successfully undergo drug or alcohol treatment at an accredited facility. Successfully complete driver education courses. Successfully complete community service hours or work program requirements. None of this is set and stone. The judge may not impose all these requirements, or the judge may impose other conditions specific to your case. Failure to comply with these terms may spur your probation to take action and allege you have violated the terms. This will set in motion a series of events that will ultimately result in you in court before a judge, answering for those allegations. Per the 1973 U.S. Supreme Court ruling in Gagnon v. Scarpelli, you cannot be subject to the consequences of an alleged probation violation unless you have been given due process of law. What this means is that any action your probation officer takes against you for an alleged violation – except for a warning – you are entitled to receive a hearing. That involves a chance to confront and cross-examine your accuser. Your probation violation hearing is probably going to be held in front of the same judge who sentenced you originally. A prosecutor assigned to the case (or the Department of Probation) will have the burden of proof to show a violation occurred. However, you have one major thing against you. As someone already on probation and thus presumed guilty of the previous offense, the standard of proof is not “beyond a reasonable doubt,” as would apply in most criminal cases. Instead, it will be the less burdensome, “greater weight of the evidence,” standard. That means it will be easier for the prosecution to prove their case. It’s wise to have an attorney present at the probation violation/ probation revocation hearing. This is going to be your opportunity to assert the proof of violation is insufficient or to offer up information about extenuating circumstance that might sway the judge to be lenient. Our Fort Lauderdale DUI defense lawyers will stand firmly at your side and present convincing evidence to help strengthen your position.